A world of moving and evolving textures and narrative instruments made for ambient, subtle cinematic, film/game scoring, soundtracks, chillout, IDM, glitch and more. Special Field Recording folder with nature and mechanical environments. All textures and synths are designed from multi layered sources (up to six samples), searching for musical evolving sounds, carefully tuned to give you the best playability. 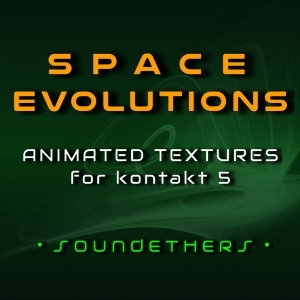 We recommend to experiment with both pre-assigned Mod Wheel and Low Pass Filter (assigned to CC 71) to fully enjoy the evolving, animated nature of SPACE EVOLUTIONS.